Australian String Association VIC donates to Crashendo’s lower string program — Crashendo! 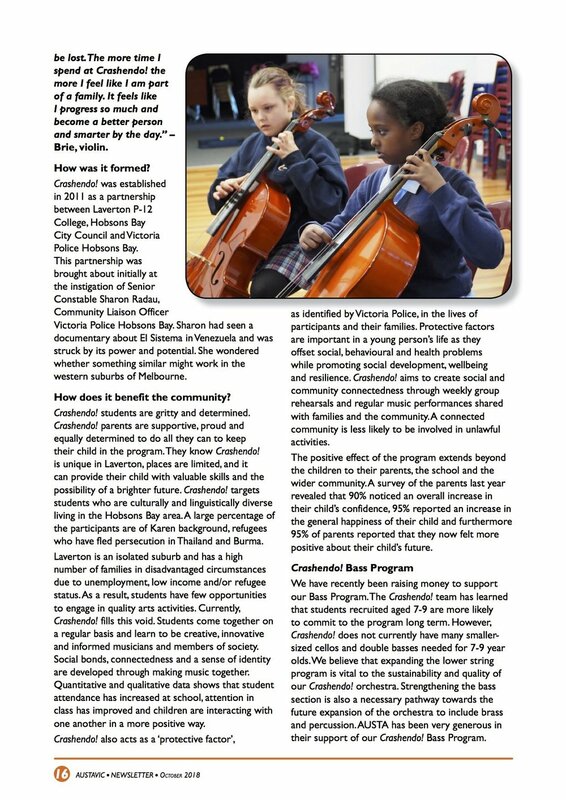 Thank you to Austa VIC for featuring us in their latest newsletter & for their generous donation towards our lower strings program. Also proud to be sharing the page with our good friends Bows for Strings!